"Still top of his game"
Saturday night+ Rock City+Billy Bragg= a top night! After over thirty years at it Billy Bragg is still a force to be reckoned with. The political shenanigans of the last couple of years seem to have reignited the passions that burn in the Essex troubadours belly. Long may it continue ! 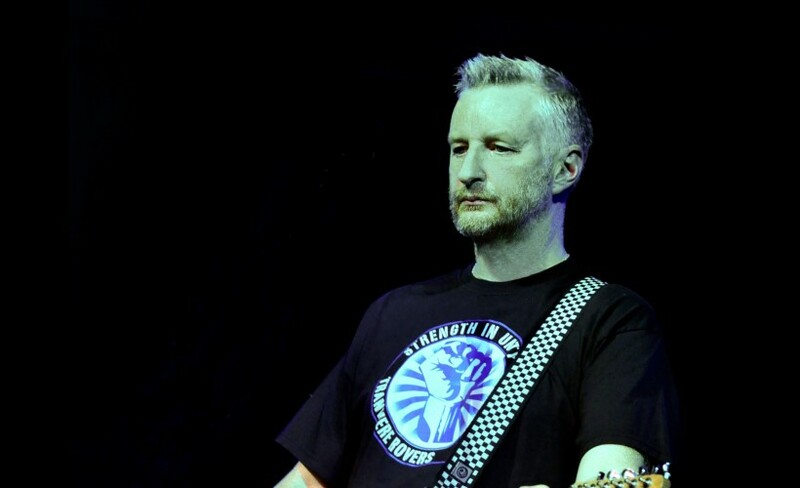 Ardent Left Wing Activist Billy Bragg has been at the forefront of British Folk for over thirty years. His punk rock influenced protest songs have inspired a generation to question and challenge the politics that have been thrust upon them. Stephen William Bragg started his musical career in 1977 with the pub rock band Riff Raff with Wiggy. Meeting with little success after four years the disillusioned Bragg signed up for the army hoping to make a difference, buying himself out after completing the three months basic training when he realised that soldiering was not for him. Upon returning to civilian life Bragg also returned to music. Now working under the title Spy Vs Spy, Bragg secured a record deal with Charisma Records by entering their office via subterfuge, pretending to be a TV repairman in order to meet A&R man Peter Jenner who would later become his manager. His break was to come upon a chance hearing of John Peel complaining he was hungry whilst broadcasting on the radio. Bragg turned up to the BBC still in his football boots armed with a mushroom biryani and a copy of his record Life’s A Riot With Spy Vs Spy. Peel played the song at the wrong speed as the 12” was cut to play at 45rpm and played the song a second time in recompense. Braggs first record had been a mix of politically charged agitation songs and love songs, the combination of which would characterise his approach for his whole career and could be heard on the 1984 album Brewing Up With Billy Bragg and Talking With The Taxman About Poetry released in 1986, the latter of which became his first Top 10 album. From the release of his second album Bragg began working under his name and began to experiment more, using a full band for the 1988 album Workers Playtime and including a brass section on tracks for the mini-LP The Internationale in 1990. The upcoming Gulf War loomed large and provided some inspiration for the 1991 record Don’t Try This At Home. It also included the anti-homophobia anthem Sexuality which was also penned with guitar legend Johnny Marr. Bragg became further interested in the politics of identity and the personal as heard on the 1996 record William Bloke and with the release of English, Half English in 2002 which questioned the nature of nationality due to the rise at the time of the Far Right BNP. His music has contributed to their subsequent decline and failure. The songwriter’s popularity grew ever greater with the release of his latest records Mr Love & Justice in 2008 and Tooth & Nail in 2013. Billy Bragg tickets are about to go on sale with Gigantic, so set your personal reminder right now. See the left-wing legend take over Wedgewood Rooms for three nights in July 2019. Always ensure you book your concert tickets early to avoid disappointment.